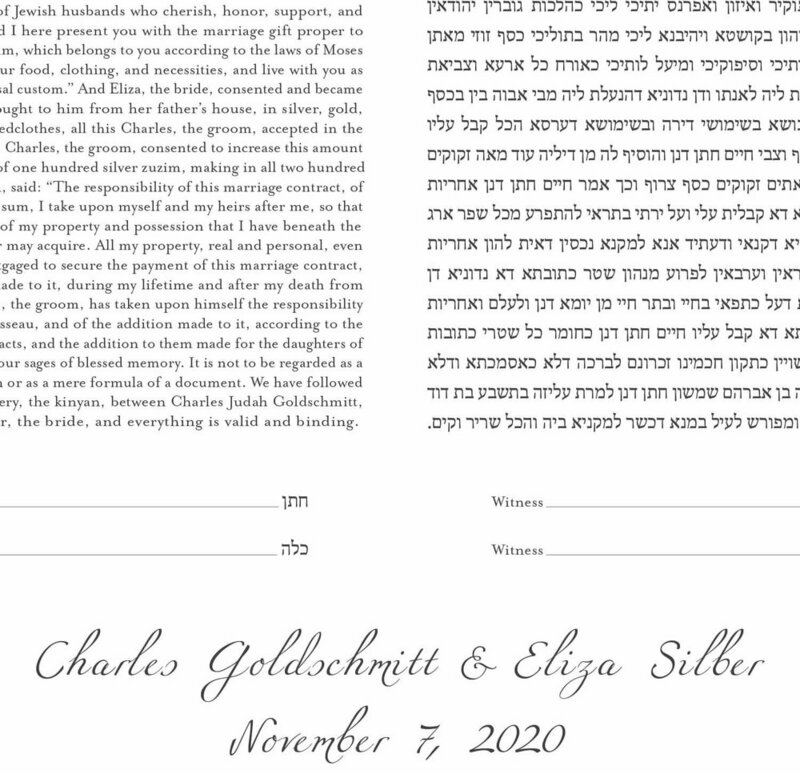 Created to look like a page in a picture book, this ketubah tells a story. 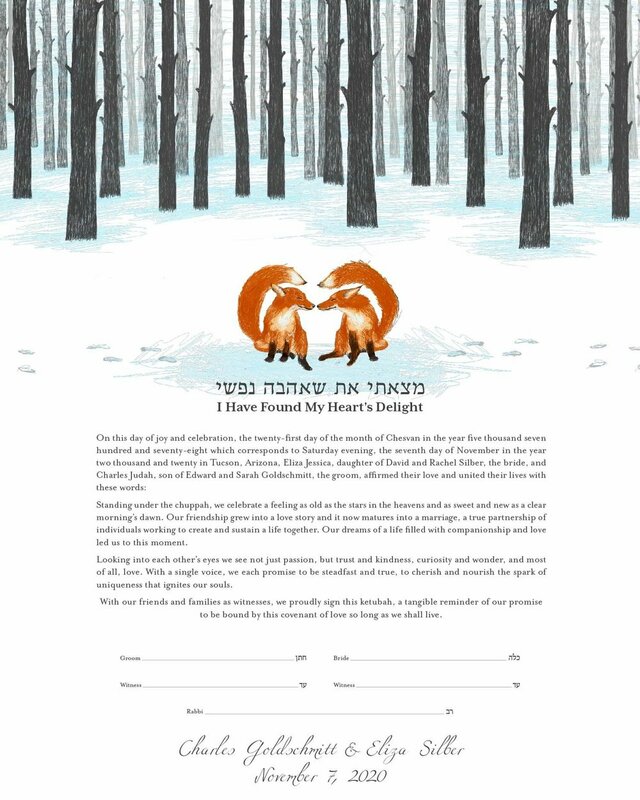 Two playful foxes touch noses as they meet in a winter forest landscape, their tails form a heart above them. 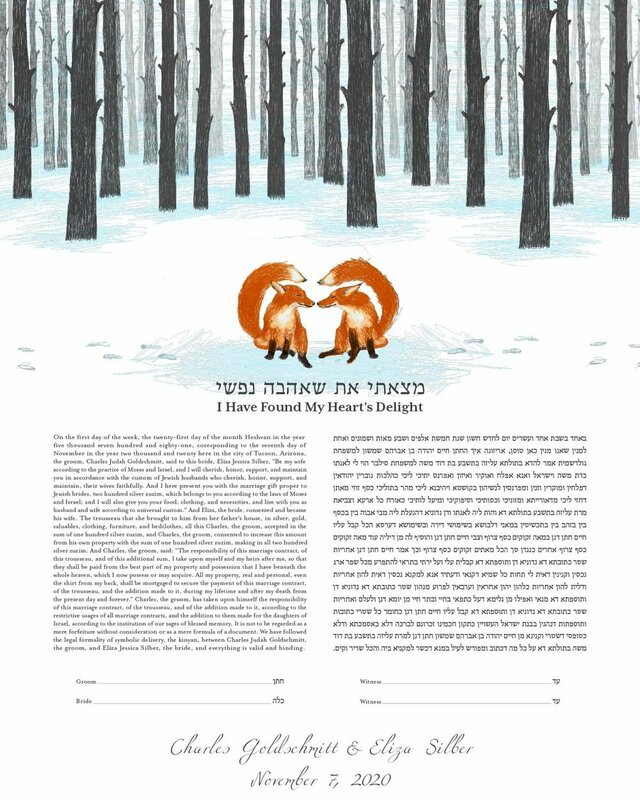 "I Have Found My Heart’s Delight" in Hebrew and English appears above the text. (Optional or may be replaced with other quotes).